The Third National CARE™ Congress was a great success! 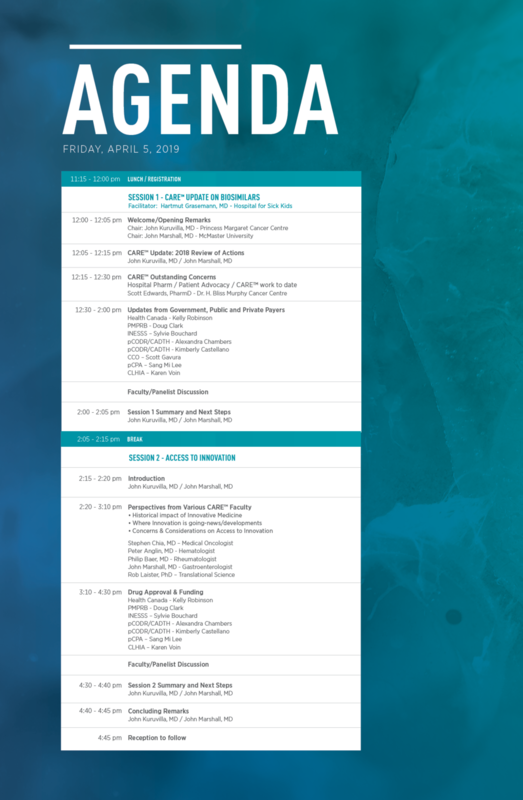 The Third National CARE™ Congress: Update on Biosimilars and Access to Innovation was held at the Shangri-La Hotel in Toronto on April 5th, 2019. The meeting addressed questions and considerations regarding Biosimilars in Canada and how they build towards a larger discussion on access to innovative medicine. The meeting included discussion and provided a platform for medical specialists and key stakeholders across multiple fields to meet, collaborate, and discuss concepts that have a practical impact on the Canadian healthcare landscape. 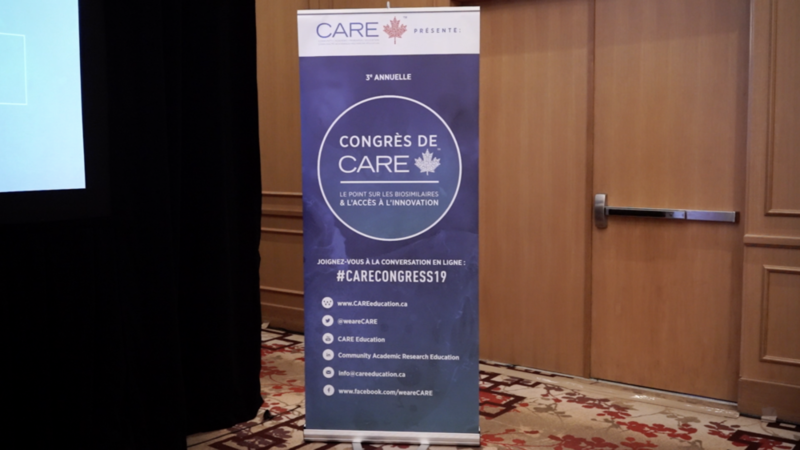 Click here to view Meeting Highlights from Congress 2018! Watch the National CARE™ Congress 2018 Highlight Reel below!